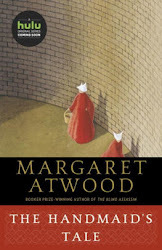 Page 56: "She's got plenty of love to give, she falls for every lonely-heart announcement in the paper." 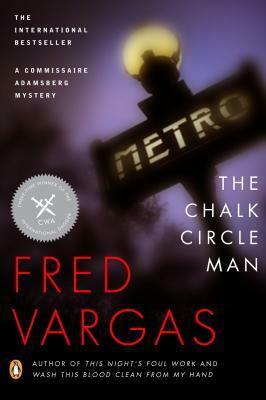 From Goodreads: Fred Vargas 's Commissaire Adamsberg mysteries are a sensation in France, consistently praised for their intelligence, wit, and macabre imagination. This first novel in the series introduces the unorthodox detective Commissaire Adamsberg-one of the most engaging characters in contemporary crime fiction. When blue chalk circles begin to appear on the pavement in neighborhoods around Paris, Adamsberg is alone in thinking that they are far from amusing. As he studies each new circle and the increasingly bizarre objects they contain-empty beer cans, four trombones, a pigeon's foot, a doll's head-he senses the cruelty that lies within whoever is responsible. And when a circle is discovered with decidedly less banal contents-a woman with her throat slashed-Adamsberg knows that this is just the beginning. Friday Focus: The Friday 56 & Book Beginnings #81 was originally published by Catherine for bookclublibrarian.com. This post cannot be republished without attribution. Retweeting and sharing on Google+ are encouraged and appreciated.